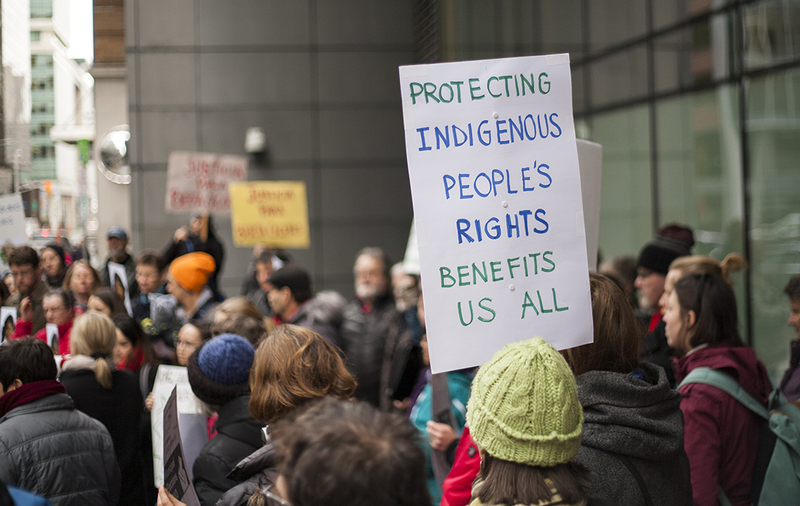 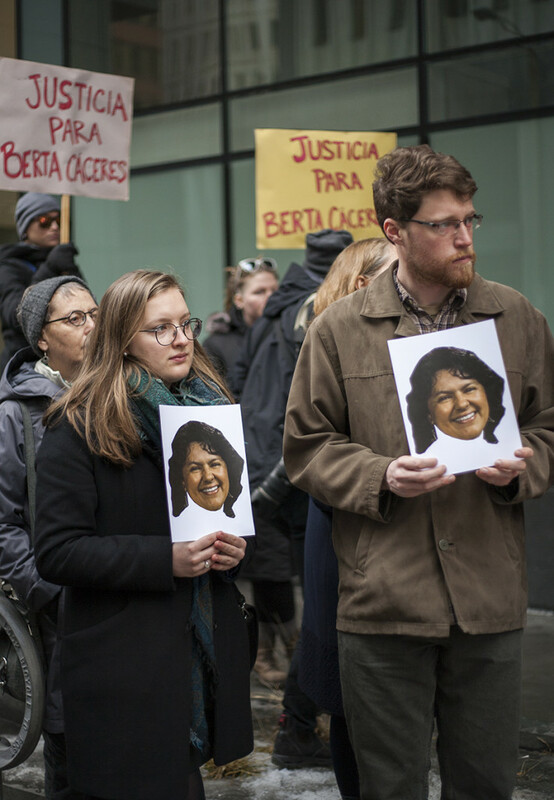 A protest outside the Honduran Embassy to Canada was held on March 8, 2016 at 12:30 p.m. calling for justice after the assassination of environmental and indigenous land rights activist, Berta Cáceres. 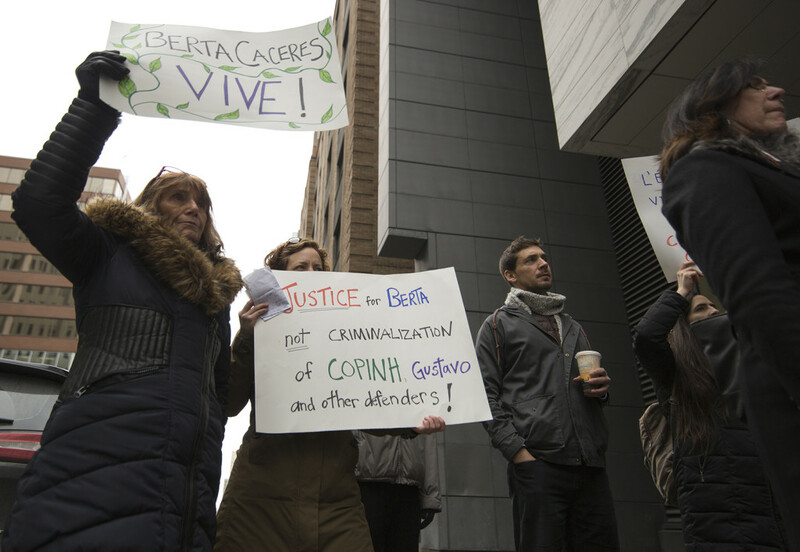 Supporters gathered across from the embassy at 151 Slater Street in downtown Ottawa and delivered a letter calling for justice afterwards. 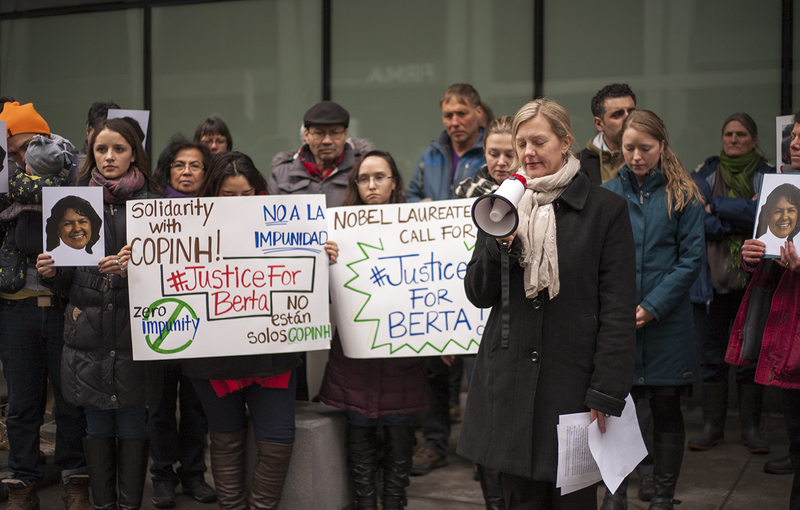 The Nobel Women’s Initiative hosted the protest with Rachel Vincent, director of media and communications, speaking. 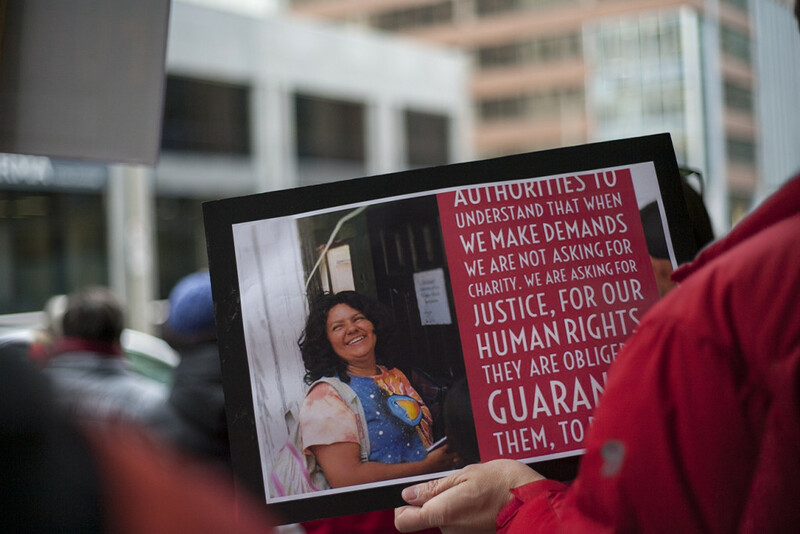 Cáceres was assassinated in her native Honduras on March 3, 2016.